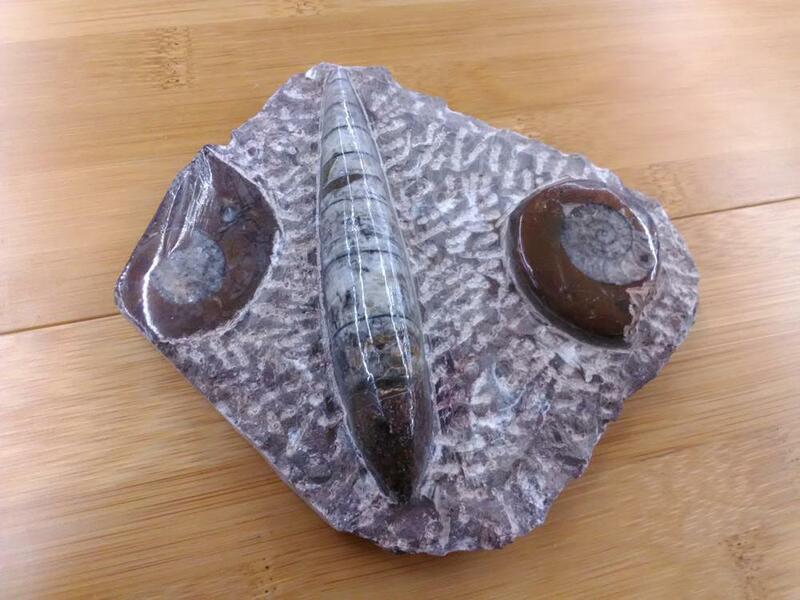 Orthoceras - was an ancient mollusk. These straight shelled nautiloids ranged in size from less than a centimeter to more than 14 feet long. The shell is all that remains of the modern day squid. Ammonite - were predatory, squidlike creatures that lived inside coil-shaped shells. Like other cephalopods, ammonites had sharp, beaklike jaws inside a ring of tentacles that extended from thier shells to snare prey such as small fishand crustaceans. Some ammonites grew more than 3 feet across. Size: 5 3/4" x 5"